Oolong tea extracts may have components that could inhibit growth of breast cancer, along with other health benefits. Oolong is a type of Chinese tea that is known to be immensely beneficial for heart, brain and diabetes management. 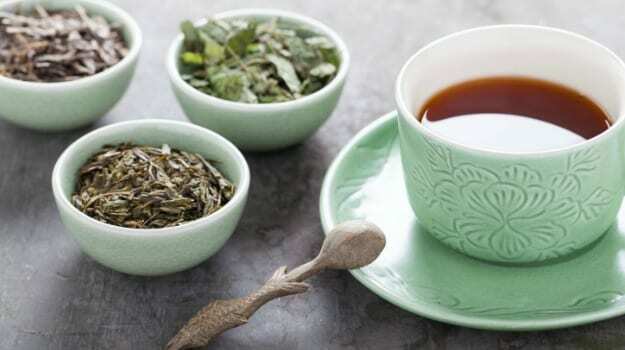 The study, published in the journal Anticancer Research, suggested that the Chinese tea happened to stop the growth of breast cancer cells and the extract hampered the DNA of the cancer cells, while also inhibiting the growth and progression of tumours. The scientists also compared effects green tea and black tea. Green tea was also found to be effective. However, black and dark tea had little effect on the cells, noted the study. From our results, oolong tea, much like green tea, plays a role in inhibiting breast cancer cell growth, proliferation and tumour progression, said one of the researchers from St. Louis University in Missouri. Just like green tea oolong tea could also induce DNA damage and cleavage, which can play an inhibitory role in breast cancer cell growth, proliferation and tumorigenesis. Scientists revealed that oolong has great potential as a chemo-preventive agent against breast cancer. The researchers also analysed the rates of breast cancer and deaths from the disease across China. The findings suggested that regions with high oolong tea consumption had generally lower rates of the disease. The incidence of breast cancer in the Fujian province was 35 percent lower than the national average. “The lower incidence and mortality in regions with higher oolong tea consumption indicate that the tea has great potential for its anti-cancer properties,” said lead author Chunfa Huang, Associate Research Professor at the varsity. The researchers also said that prevention and early diagnosis is crucial to prevent such incidences. Oolong tea is packed with a multitude of health benefits, which is why it is one of the most popular beverages in China. 1. Oolong tea is a good source of catechins, which could help melt belly fat. A study, published in Chinese Journal of Integrative Medicine, said that people who sipped the tea daily lost up to two kilograms of weight in six weeks! 2. Oolong tea is a good source of antioxidants, which help keep free radical activity at bay, thereby giving a natural boost to our immunity. 3. Oolong tea could do wonders for your heart health and keep your cholesterol levels balanced. 4. Several components of the tea could also help improve brain function and memory. 5. The antioxidants present in the tea could help keep your bone and tooth strong.